No need for hard disk on client PCs, so a large amount of money for hard disks has been saved.After reboot the client, the system will be restored to a clean state without any viruses and trojans.Network admin updates on one client PC, and then all the PCs on the LAN will be updated.One person operates on the server, and then all the work will be done after reboot the clients.Equipped with good cache performance, physical memory and SSD cache are supported.Perfectly works with Windows domain. One can login with domain account, then load and store personal data on the personal disk.CCBoot is compatible with third party DHCP and TFTP, which makes the management become more convenient.Super Path can realize two servers working at the same time. If one server has stoppage, the other one will take place of it without affecting and restarting clients.The PnP function of CCBoot makes it possible to create a single image for all client PCs with various specifications.CCBoot can be used on dual NICs and dual LANs, dual LANs segment, and even VLAN.CCBoot personal disk is used to store client data that never lost even when reboot the client, which is widely used in the enterprise.Restore point, including create recovery, merge to last and restore to last, helps to fix mistakes and keep the image performance.Multi OS Boot can realize selecting more than one operating system to start from the same client.CCBoot supports single server with multi NICs load balance, and multiple servers load balance.CCBoot supports customizing the boot graphic. You can set the graphic boot menu as you like. Inside DHCP, gPXE, TFTP, Image Upload and iSCSI Target. 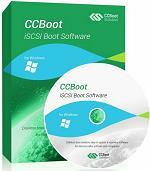 It's an all-in-one solution for iSCSI boot.Support physical drive, volume drive and VMWare disk file.Support uploading boot image to the PXE boot server and save with VMDK format.Clients can recovery to a new clear system after reboot.Clients can keep their own system data after reboot.Support image read cache and client write-back cache.Support RAM cache with huge memory access (AWE).Support SSD cache.Support multiple servers, multiple NICs and load balance.Support multiple disks.Support client write cache.Support one image compatible with different devices (PnP).Support image with vhd format.Support server game disk largest size for 64T.Support "Collect Local NIC" and "Merge Collected NIC" function.Besides Hard disk, CD/DVD and ISO file can also be used for game disk.Multiple commands for management.Preload batch processing for clients. 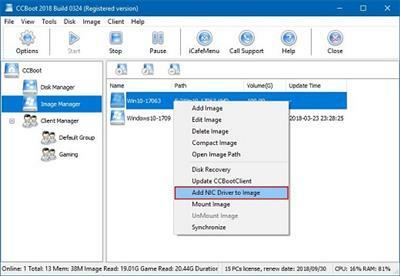 CCBoot 2018 Build 0823-P2P Fast Download via Rapidshare Upload Filehosting Megaupload, CCBoot 2018 Build 0823-P2P Torrents and Emule Download or anything related.